When Thanos assaults Earth in Avengers: Infinity War to collect some Infinity Stones, he won’t do it all by himself. We’ve known for quite some time that he’ll bring a small group of his lieutenants with him called “The Black Order.” These Children of Thanos, former “siblings” of Gamora and Nebula, each bring their own skills to the table to combat Earth’s mightiest heroes. Marvel released a new full trailer for Infinity War on Friday, and in it, we get our first look real at the members of the Black Order. The trailer puts a special focus on Ebony Maw, the group’s conniving mastermind, who has some sort of direct confrontation with Doctor Strange. So, who exactly are these beings? Later, in the middle of the new trailer, we see Loki standing with four strange aliens. Loki stands with Thanos's Black Order in 'Avengers: Infinity War'. These are the members of the Black Order. Did Loki hand over the Tesseract to Thanos and join their ranks? Or does the above shot take place moments before Thanos smites Loki and finally gives the MCU a legitimate death that actually means something? Anyway, it’s hard to see the Black Order all that clearly, but they featured above from left-to-right are Proxima Midnight, Ebony Maw, Corvus Glaive, and Cull Obsidian. You might remember someone throwing a spear at Captain America in the first trailer. That was Proxima Midnight. In the comics, she has superhuman strength and agility, and she’s also basically impervious — but you could say all these things about all the Black Order members. Her lance uses arc energy that might sound similar to Iron Man’s reactor tech, but it’s infused with a weird space toxin that can kill almost anything. Supposedly, it can even hit Hulk hard enough to make him revert back into Bruce Banner. Thanos made it for her out of a sun that was trapped in distorted space-time, like if you somehow turned a supernova-black hole into a spear. Good luck translating the pseudoscience of that one to the big screen, Marvel Studios. 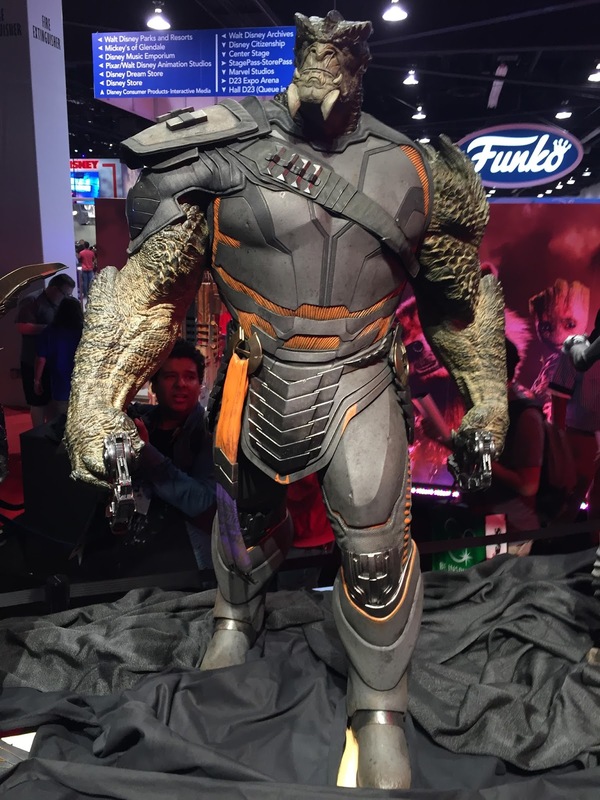 A statue Marvel made of Cull Obsidian on display at D23 Expo in 2017. The largest member of the Black Order is Cull Obsidian, known in the comics as Black Dwarf, which is ironic because this guy is really friggin’ huge. He’s way bigger than Thanos, and his strength levels might be on par with even Hulk. There’s little that truly distinguishes him beyond his overwhelming size and strength. A statue of Corvus Glaive at San Diego Comic-Con in 2017. His bladed pike can cut through anything, and when he’s holding it, he’s immortal. If that’s the case in Infinity War, then expect a scene where tons of heroes attack him long enough to knock that spear out of his grasp so they can strike the killing blow. His spear is what you see being driven into Vision’s forehead in the first Infinity War trailer. Chances seem pretty high that Corvus Glaive and Proxima Midnight attack Vision directly early on, but Captain America intervenes and saves him — which could be why they all wind up in Wakanda, to protect Vision. 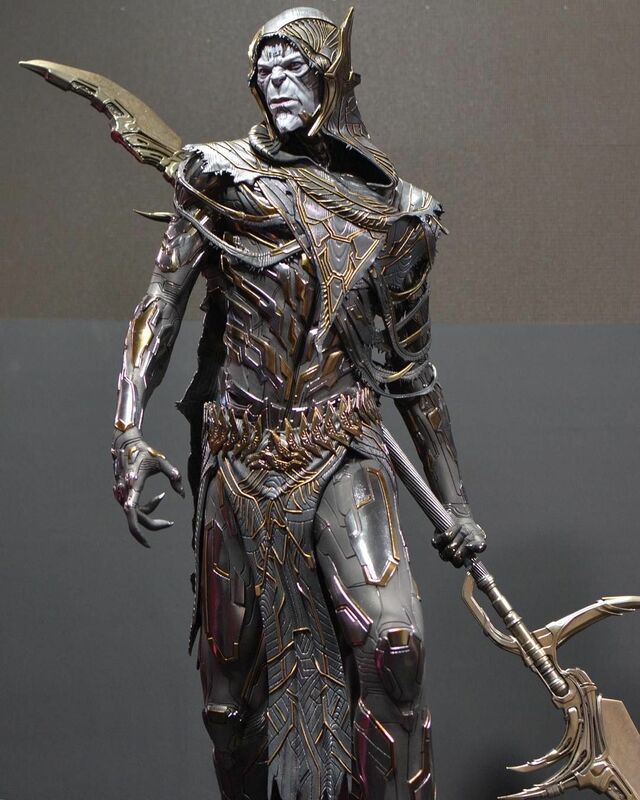 Some regard Corvus Glaive as Thanos’s favorite child, but Ebony Maw is undoubtedly his most dangerous. A brilliant mastermind who ultimately tries to undermine Thanos in the comics, Ebony Maw gets a kind of shield generator, teleporter, and even the ability to infect people’s minds and control them. He has one of the sharpest intellects of anyone in the entire universe, and he can even outright manipulate people. What could possibly be more dangerous? 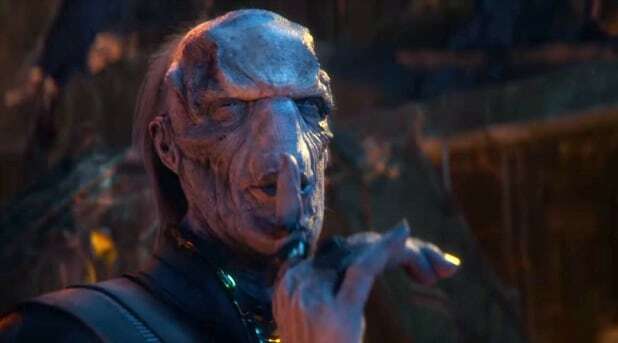 When Inverse spoke to actor Tom Vaughan-Lawlor about playing the role, he implied that Ebony Maw might have his own motives in Infinity War, which could lead to him betraying Thanos in the end. In the horrifying scene featured above, which is from the newly released trailer, Ebony Maw seemingly tortures Doctor Strange. In the comics, Ebony Maw tortures Strange to learn the location of the various Infinity Stones, which could be exactly what’s happening here. It’s possible that Ebony Maw is in the Q-shaped ship that hovers over New York City and that he kidnaps Strange to get at the Time Stone. If he then retreated back to Titan, that could also explain why Iron Man and Spider-Man followed them there. But as of right now, we can’t know anything for sure other than the fact that Ebony Maw definitely captures Doctor Strange in some capacity. Avengers: Infinity War hits theaters on April 27.